It’s one thing to realize that you’re experiencing greatness when you’re in the middle of that greatness. It’s another thing entirely to step back when you’re in the middle of that greatness and pause for a moment, breathe it all in, and recognize that no great things last forever. This is where we stand with the Golden State Warriors. 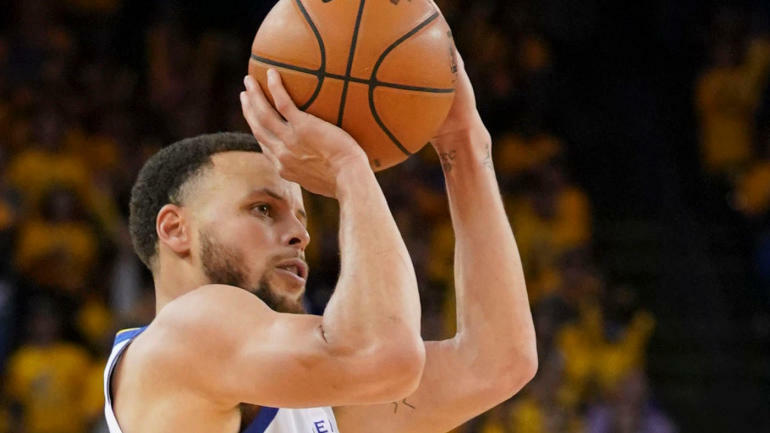 Saturday’s dominant win in Game 1 of their first-round series against the Los Angeles Clippers could very well mark the beginning of the end of one of the greatest dynasties in modern American sports. It’s easy to look at Saturday night’s game as another ho-hum display of Warriors’ dominance over all comers: Steph Curry being Steph Curry, scoring 38 electric points while setting the all-time record for playoffs 3s in a career, and Draymond Green jawing with the refs about a missed foul call just minutes into the game and keeping up that intensity throughout, and Kevin Durant dropping a quiet 23 points before getting kicked out of the game in the fourth quarter after an altercation with Patrick Beverley. Hey, they’re the Warriors. We’ve come to expect these 121-104 Warriors wins when you feel like they weren’t even at their best. Forget all the drama of this season: It’s playoff time, and the Warriors have flipped their playoff switch. Frankly, it’ll be easy to look at all these Warriors games with that same ho-hum feel until they (possibly/probably/likely/inevitably, depending on your view on destiny) hoist the Larry O’Brien Trophy for the fourth time in five years. After all, we’ve seen this before. We’ve seen it so much that we’ve become inured to Steph Curry draining impossible 35-footers, or Kevin Durant showing us why he may have surpassed LeBron as the greatest basketball player on earth, or Klay Thompson being the most low-key, low-maintenance two-way force the NBA has ever seen, or Draymond Green playing the antihero despite playing basketball the exact way that your high school coach wants his guys to play basketball. Do not take these Warriors for granted. Because we really may be staring at the beginning of the end of this dynasty. There’s more than a pretty good chance that everything will look different for the Warriors next year. First is the sparkling new arena: No longer in gritty Oakland but instead in that opulent tech-centered city on the other side of the bay. More importantly, there’s the roster. It’s not going to be the same next season. Perhaps you read a few of those tea leaves that predict Durant will be heading elsewhere – namely, to Madison Square Garden, to be the marquee player who can save a downtrodden franchise and therefore rewrite his legacy. DeMarcus Cousins will sign elsewhere. Including Durant, assuming he doesn’t take his player option, nine Warriors will be unrestricted or restricted free agents in a few months – with five more players due to enter restricted or unrestricted free agency in the summer of 2020. We assume that Klay Thompson will re-sign, but much weirder things have happened in the NBA. Who knows what the Warriors decide to do with Draymond Green before he enters free agency in 2020. All of which is to say this: It’s not often in life that we’re given an opportunity to sit back and be truly grateful for something in the moment. More often, we look back at something and think of how great those days were. That’s one of the things that made the year-long farewells for Dwyane Wade and Dirk Nowitzki so special. But even then, we weren’t getting to watch those guys at the height of their powers. Greatness is fleeting, especially in sports. That’s what I kept thinking of when I watched the Warriors easily handle the Clippers on Saturday: How sad I’ll be when this team is part of our history instead of our present. It’s why we should live in this moment instead of immediately thinking ahead to how these Warriors will match up in a potential rematch with the Houston Rockets in the second round, or which Eastern Conference team has the best shot at upsetting the Warriors in the Finals, or what a potential trio of Durant, Kyrie Irving and Anthony Davis could look like in New York City. That stuff is all fun, and the 12-month soap opera is the lifeline to the NBA’s current success. But nothing can be more fun than watching Steph Curry, at the end of the first quarter on Saturday, taking the inbounds pass, cooking Garrett Temple at midcourt, absorbing a double-team and dishing off to Draymond Green, who read Curry’s mind and shoveled him back the ball, after which Curry immediately launched a high-arcing corner 3, which took one, two, three bounces off the rim before it fell through. It was almost unfair to watch. And it was pure joy, the childlike joy that made the Warriors so much fun to watch at the beginning of their dynasty and that has waned this season. If you hate these Warriors, you hate Jordan in his prime. You hate Tiger Woods between 2000 and 2002, when he won six majors and changed golf. You hate Babe Ruth swatting home runs out of Yankee Stadium, and Michael Phelps destroying everybody else who swam alongside him, and Serena Williams being the GOAT, and Tom Brady being the best we’ve ever seen in America’s favorite sport. If you hate the Warriors, you hate joy. If you think the Warriors are invincible, they’re not. They should have lost to the Rockets in the Western Conference Finals a year ago. They’re more vulnerable this season than any season during their run – because of themselves (this is the least statistically dominant season during the Warriors’ run), and because of everyone else (the Rockets in the West, and the glut of talented but unproven teams at the top of the East). As much as we think their success is guaranteed, it’s not. And that’s why we need to step back during these playoffs and smell the Warriors’ roses. If this does, in fact, mark the beginning of the end for this dynasty, you better believe those in the Warriors’ locker room have a better sense of it than any of us guessing at it in the public. Being a sports dynasty is a relentless and exhausting pursuit, but knowing this could be their end should only give this team more motivation. Several years ago, I had a chance to see Prince in concert. I was busy, so I said no thanks – certainly I’d have a chance to see him again down the road. Then Prince died. I didn’t fully appreciate his greatness while I could. I’m not going to make the same mistake with these Warriors. Every time I watch them play this postseason, I’m going to make a point to take a step back, take a pause and appreciate this moment in time for what it is. Whether it’s during a blowout or a nail-biter, I’m going to take a moment to appreciate – to really appreciate – what we’ve watched unfold with this team over the past five years. I’m going to tell my grandkids about this team someday. So instead of focusing on all the noise about what their future will hold, instead, I want to live fully in their present. Because we may never see a present like this for a long, long time.